Moisture levels are one of the key components of healthy hair, so ensure your hair is hydrated with the perfect conditioner from Aveda! Formulated with Ayurvedic, plant-based ingredients, these conditioners are ideal for anyone looking for professional quality that focuses on not just the hair, but the mind and spirit as well. So what’s your perfect Aveda conditioner? For those looking for nourishment without weighing down fine, thin strands, Aveda’s Rosemary and Mint Conditioner is a perfect choice. Lightweight and nourishing with their signature Rosemary and Mint aroma, this conditioner hydrates and invigorates for healthy hair that’s full of volume. For those looking for some treatment in their conditioner, the Invati Thickening Conditioner helps reduce hair loss with proteins and scalp-stimulating ingredients that thicken your hair from within. Conditioner is often the savior of thick, tangled hair, and Aveda’s conditioners are no exception. Try the Smooth Infusion or Dry Remedy conditioners for hydration that can penetrate even the bulkiest of strands, maintaining smooth, healthy locks that will resist frizz, tangles, or damage. To tackle thick hair lacking in shine or vitality, try the Brilliant Conditioner to restore shine. Aveda’s Damage Remedy Restructuring Conditioner is like a healthy drink of water for hair that’s starving for nourishment. Fortified with plant-based proteins and amino acids to help not only strengthen, but rebuild the hair, you can’t go wrong with the Damage Remedy Conditioner for truly damaged hair. 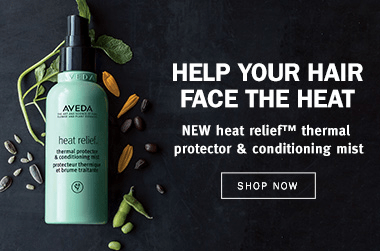 So check out the options below to find your new favorite conditioner from Aveda! What's the Proper Way to Use a Conditioner? I loooove this! I use after the curly co-wash, and I don’t slather it on my scalp, just focus from about inch down from my crown through to the ends. It smells sooo good and combs through well. I find I still need product after to combat frizz, but I think this keeps my curls/waves in good overall condition. I bought this along with the Shampure Shampoo and I am completely converted to Aveda. This conditioner is the only one that has made my super thick hair feel seriously silky and beautiful, and the only one I've only had to use a little bit of product to feel like it really works. It completely eliminated hair breakage and frizziness and hydrated my hair so much that I didn't even need to use my usual leave-in treatment after a shower. I'll definitely be repurchasing this in the one-litre size, along with the shampoo!